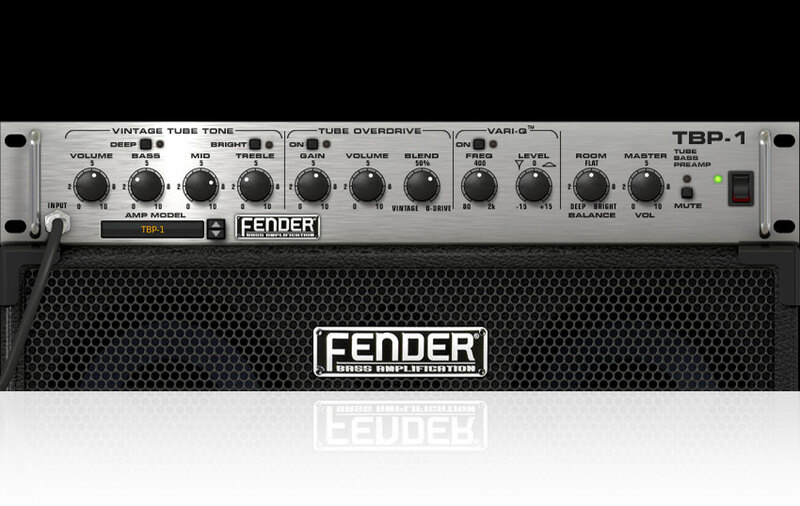 Fender® Collection is the first and only official guitar/bass Amp and FX collection for AmpliTube made by IK Multimedia and legendary music icon Fender® Musical Instruments Corporation. 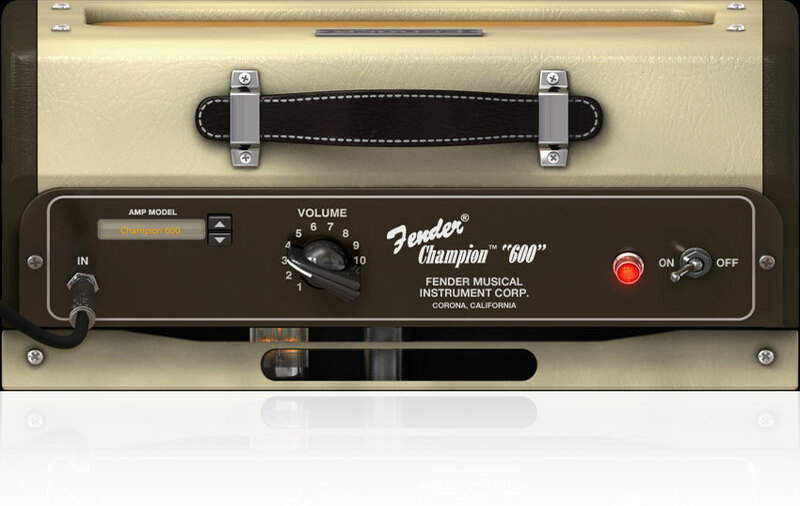 We worked "hand in hand" with the engineers, sound gurus and management at Fender to bring the sounds of Fender's dream tone machines to your desktop/DAW. 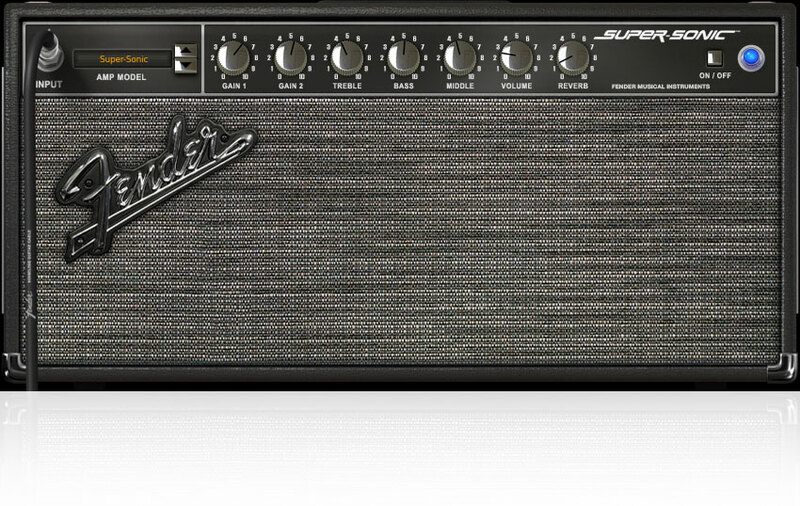 With a collection of 49 pieces of gear collected from the most sought after classic and modern Fender® amps (including the '65 Twin Reverb®, '57 Deluxe™, ’59 Bassman® LTD, '64 Vibroverb® Custom, Super-Sonic™, Metalhead™ and many more), cabinets, stomp boxes and rack effects, Fender® Collection sets a new standard for software amplifiers. We're not gonna lie to you... we had to do some serious deep thinking while developing Fender® Collection. Countless hours of caffeine induced euphoria, gigantic reverberating think tanks of engineering mania - we had new technologies flying around the room like air molecules. But, that's what you do when you're creating models of the world's leading legendary amplifier manufacturer. Every step in the development process was constantly supervised and sound-certified, step-by-step, by the tone gurus at Fender® to ensure that the same quality process of real gear tone-testing has been strictly followed in the realization of Fender® Collection. Thats a lot of pressure, but we can handle it. We've been at it since the dawn of the digital age. Never before have you been able to get this close to the real thing on your desktop. Fender® Collection gives you an accurate and complete replica of included amps, effects and related controls that will immediately feel comfortable to you. 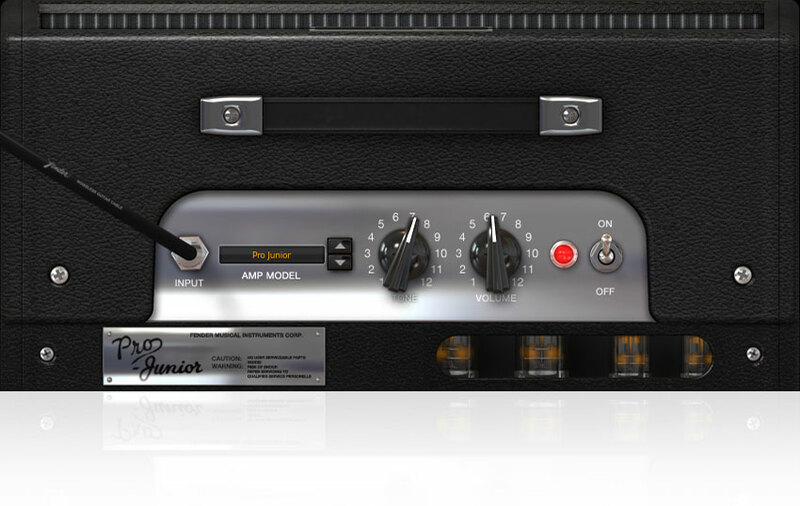 Every adjustable parameter is never more than 2 clicks away, making even the most complex guitar tone easy to set-up and edit. Fender® Collection uses new ultra-accurate modeling technologies developed by IK engineers with years of research in circuitry modeling: in addition to IK’s classic DSM™ or “Dynamic-Saturation Modeling” the new VRM™ (Volumetric Response Modeling) technology has been developed to nail down even the finest sonic detail. tuner —> pedalboards —> amp head preamp —> effects loop —> power amp —> speaker cabs —> mics with room effects —> rack effects. Plus, you can configure two complete rigs and run in stereo. 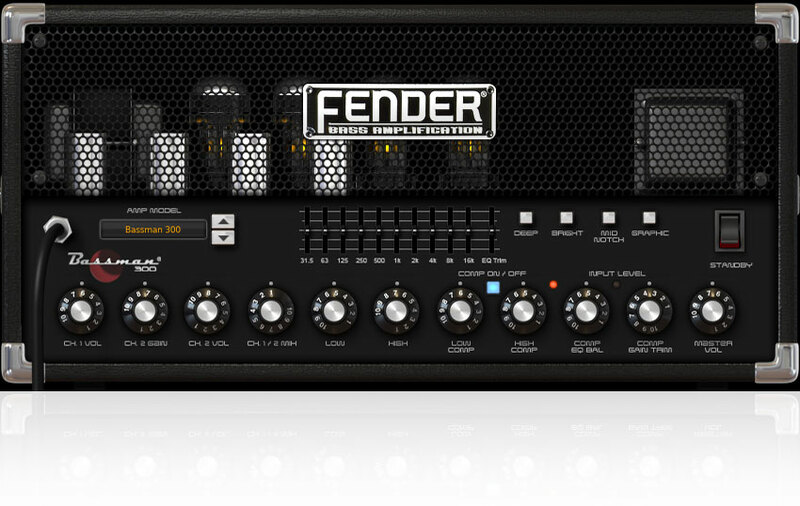 There are also eight different series/parallel “routing” options available that give you total signal chain control, allowing you to configure tones for every possible playing scenario. 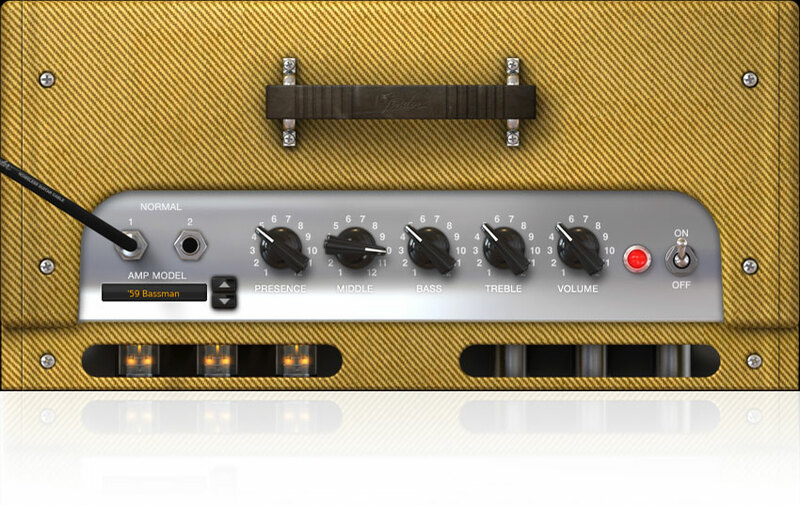 You can select and customize different configurations on the fly as you see fit: dual pedal boards running into a single amp head split to two cabs, with different mic sets for each, running into a single rack with a compressor and graphic eq, just as an example. 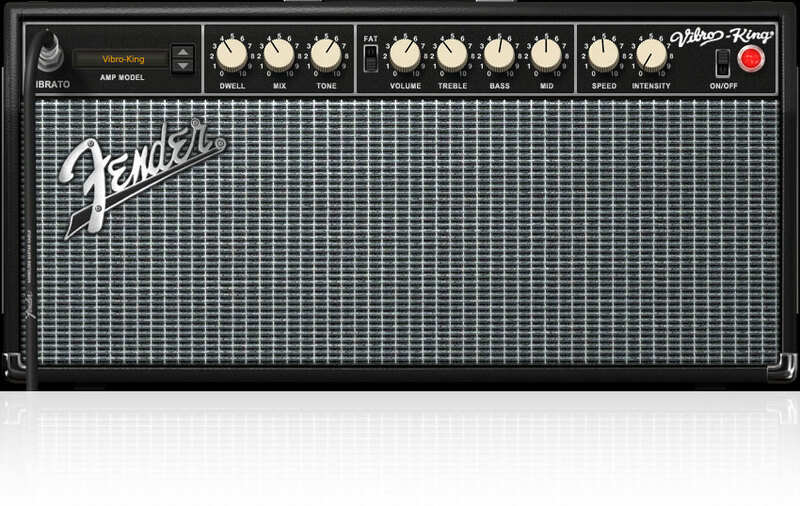 Run a full stereo rig with different amp setups… the combinations are endless. AmpliTube is also MIDI compatible, which means you can use your favorite MIDI controllers to change parameters and switch presets. It’s perfect for foot pedal and floor controllers, that you can connect with IK’s MIDI interfaces (like iRig MIDI 2), and stompbox-style controllers, like IK’s iRig BlueBoard. Now you can wah, control volume, add gain, swap presets, adjust delay times and more, all without ever raising your hand. 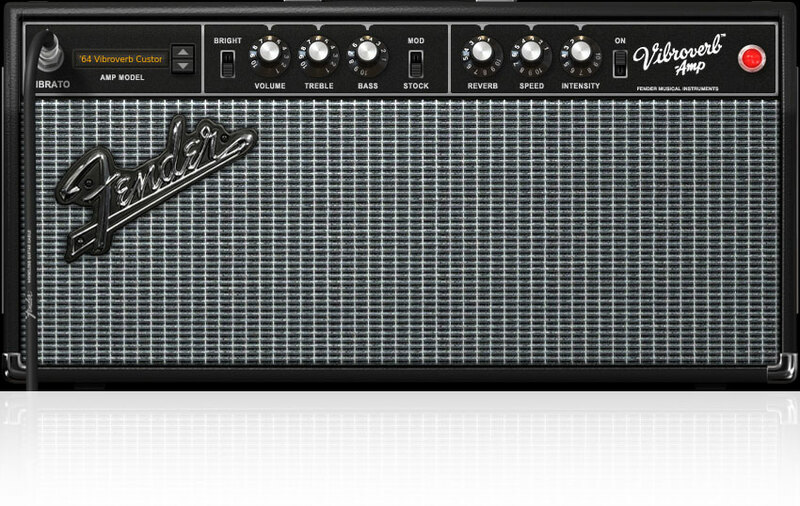 If you're already an AmpliTube User, Fender® Collection will automatically show up in the gear selection menus, allowing you to mix and match Fender® Collection gear with the other gear in AmpliTube. 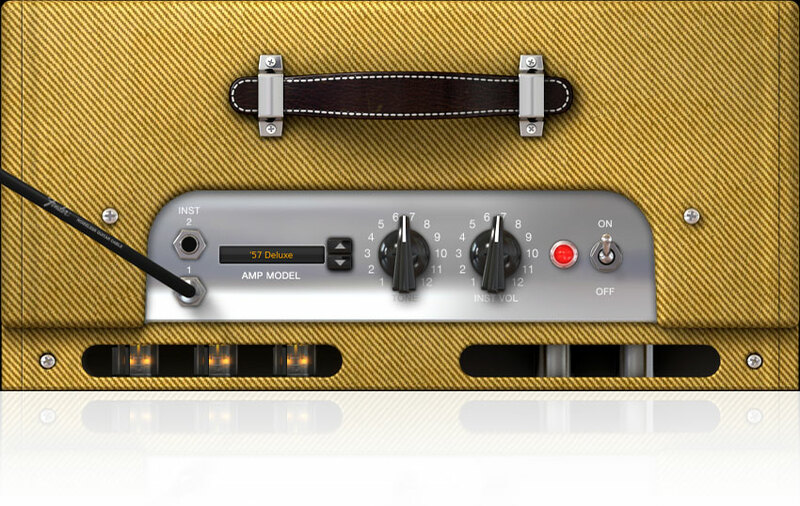 With IK Multimedia's range of interfaces for mobile devices and Mac and PC, getting tone from AmpliTube is as simple as plugging into an amplifier. Check out the iRig HD 2, iRig Pro I/O or iRig Pro Duo — our latest generation of interfaces that give you pristine, pure sound quality for your Mac or PC, iPhone or iPad and iRig BlueBoard to control AmpliTube. AmpliTube® SpeedTrainer™, DSM™, are trademarks or registered trademarks property of IK Multimedia Production Srl. 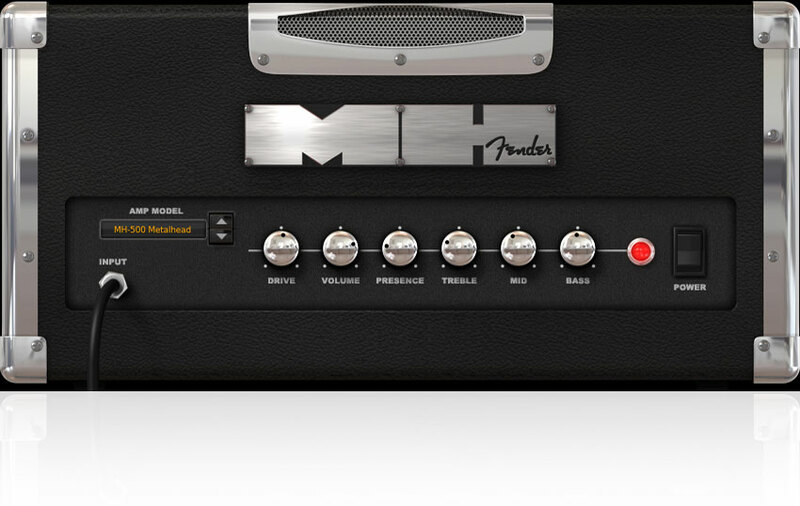 FENDER™, STRATOCASTER™ and the distinctive headstock designs displayed here, and all FENDER amplifiers, logos, and trade dress are the trademarks of FMIC and used herein under license. All rights reserved. All other product names and images, trademarks and artists names are the property of their respective owners, which are in no way associated or affiliated with IK Multimedia. Product names are used solely for the purpose of identifying the specific products that were studied during IK Multimedia’s sound model development and for describing certain types of tones produced with IK Multimedia’s digital modeling technology. Use of these names does not imply any cooperation or endorsement. Mac and the Mac logo are trademarks of Apple Computer, Inc., registered in the U.S. and other countries. Windows and the Windows logo are trademarks or registered trademarks of Microsoft Corporation in the United States and/or other countries.The Audio Units logo is a trademark of Apple Computer, Inc. VST is a trademark of Steinberg Media Technologies GmbH.